Many of the Dark SF and Steampunk texture sets are now available on the Kitely Marketplace. They can be bought from there and have permissions set so that they can be exported a selection of other OpenSim-compatible virtual worlds (the list of them can be seen from the shopping-cart on the Kitely Marketplace). You’ll find the Templar Creations store on the Kitely website. For those of you who are familiar with Kitely virtual worlds, Templar Creations now has a store in their marketplace. There are only a handful of texture sets there at the moment, but more will follow before long. This set mainly consists of wall and windows textures, inspired by European buildings, and especially those of Geneva. There are 40 textures in all, most at 512 x 512, and all the window textures come in opaque and transparent versions. 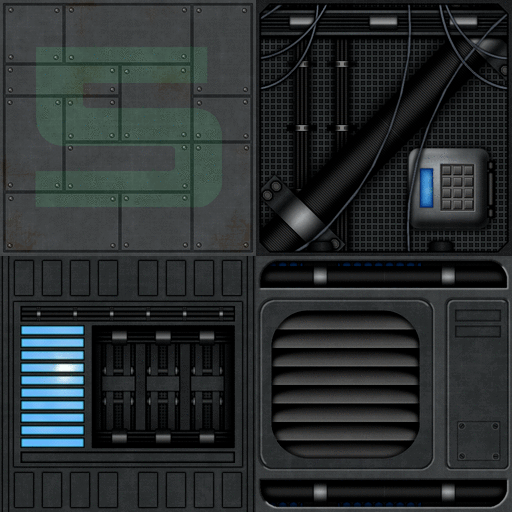 Here are some previews, but check out the gallery page to see previews of all the textures in the set. This new Steampunk texture set is an extension to sets 9-14, and contains a mixture of wall and girder textures in an ornate style. There are 30 distinct textures, plus transparent versions of the window textures, and most of them are 512 x 512 in size. 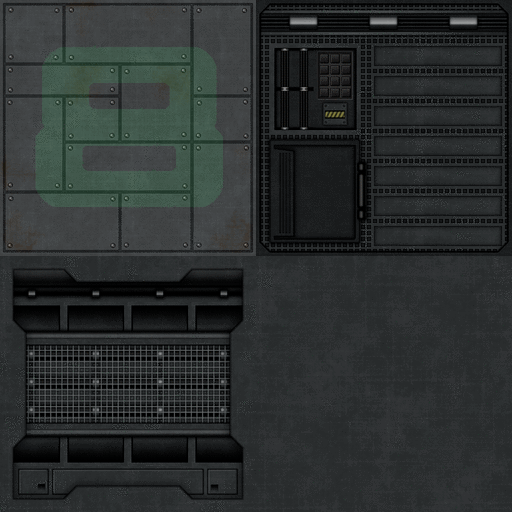 This new set of wall and control-panel textures is the third in the Dark SF series. There are 30 textures, all at 512 x 512 in size. This also sees the release of Dark SF Collection 1, which consists of all the textures from Dark SF sets 1 to 3, a total of 80 textures. The Templar Creations store in Inworldz has moved to a new location amongst the Magellan Sea sims. You will now find it at Eole (100, 245, 1201). SLUniverse is a web-forum dedicated to Second Life and to other virtual worlds, and is one of the most successful and popular of the unofficial Second Life forums. It is also the home of the Snapzilla photo-site for sharing Second Life snapshots. Why does it need support? SLUniverse is run by Cristiano Midnight, a long-time resident of Second Life, and is funded out of his own pocket, offset by advertising. Until recently there was significant income from Google’s AdSense service, but this has recently ended (click here for details). As a result, the site has now become more expensive to run, and a group of merchants who are also members of SL Universe decided to do their bit to help out. Each merchant has assigned one item whose earnings will be passed to Cristiano as a contribution to support the forum. Here is the forum thread with the full list of merchants and items. For Templar Creations contribution, I am releasing the Japanese House Texture Collection, which brings together all 60 textures from the Japanese House texture sets 1 – 3. You will find it inworld at the main store. It won’t be available from the Second Life marketplace, because the marketplace takes 10% commission, and I would prefer that the whole amount went to SLUniverse.